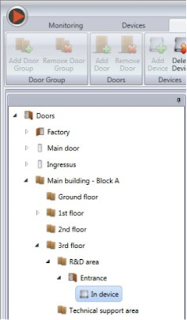 Management of multiple access control devices/controllers could be troublesome in big projects, especially across multiple buildings or floors. System administrators/security managers need to keep an eye on every device/controller by knowing their actual installation points. This is important for Ingress to provide a comprehensive UI to ease system administrators/security managers in handling this scenario. This can be done by using the Door Group feature in Ingress. Read more for the step-by-step guide. 1. 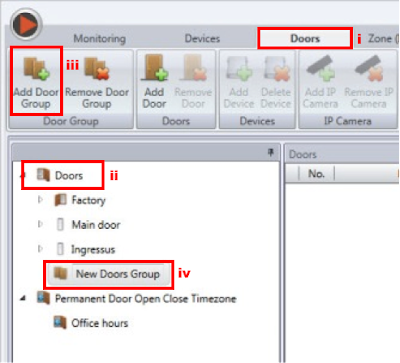 Under the Doors tab (i), click on Doors (ii) and select Add Door Group (iii) . 2. Rename New Doors Group (iv) e.g. : Main building – Block A. 3. 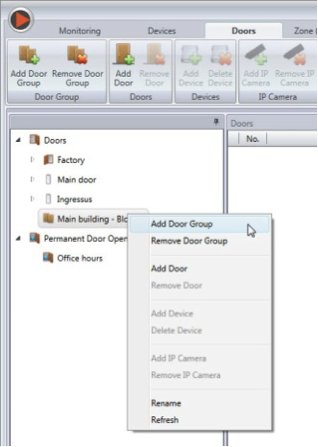 Right-click on the renamed door group to select Add Door Group and create another tier, e.g. : Ground floor, 1st floor, 2nd floor, etc. 4. Repeat step 3 under each Floor as shown above to create doors for each area, e.g. : Sales office, Administration office, etc. 5. 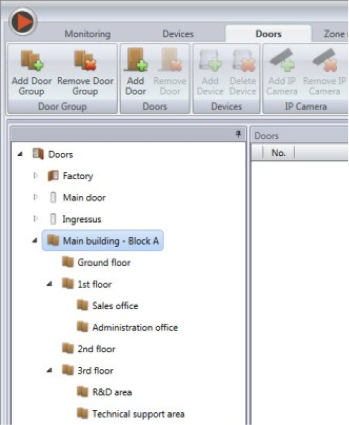 Assign Devices to each area. You can create as many tiers as you want to suit your environment. 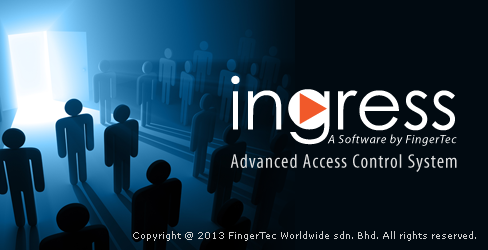 This provides detailed information to system administrators/security managers regarding where each access points are.